Admit it: If you looked at photos of what you wore 11 years ago, you'd probably cringe a bit at some of the outdated items (unless you were way ahead of your time in the style department, in which case I give you props. As it turns out, not even royalty is immune to the feeling. When I was researching photos for an upcoming story, I stumbled across a rare sight: Kate Middleton wearing bright pink Crocs in 2007, three years before getting engaged and four years before officially becoming royalty. 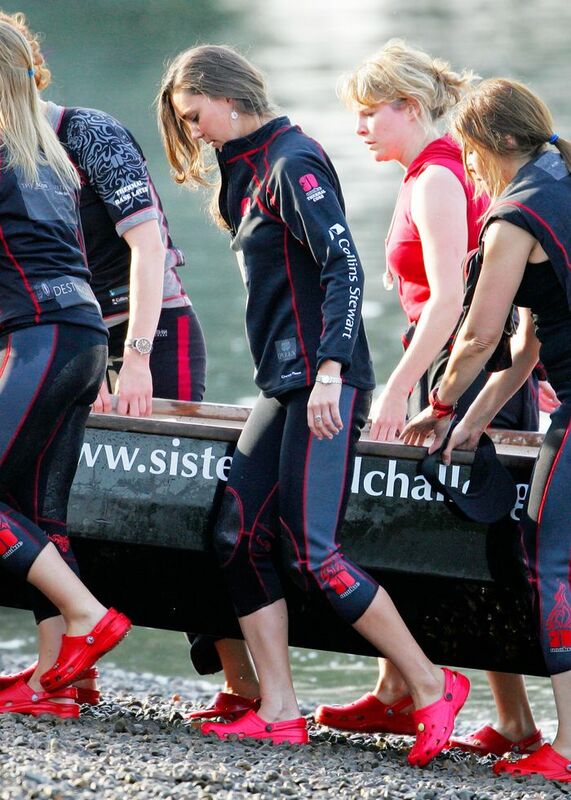 The future Duchess of Cambridge was photographed on a few different occasions while training with the Sisterhood Rowing Team. Of course, there's nothing wrong with wearing Crocs in 2018, but it's safe to say they're not a part of the Duchess of Cambridge's wardrobe anymore. Scroll down to revisit the ultimate royal #TBT and to shop Middleton's favorite present-day shoes.